The proven strategy is to constantly clean the board and anticipate where new balls can land. 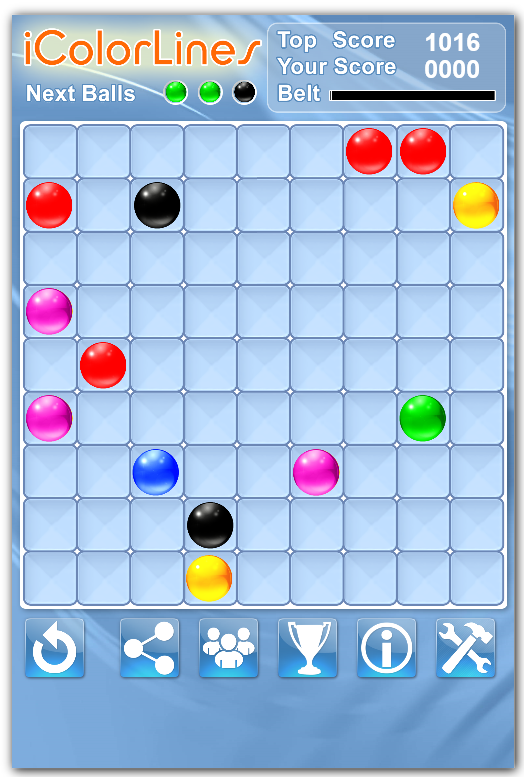 For example, let’s look at screenshot of the new game below. 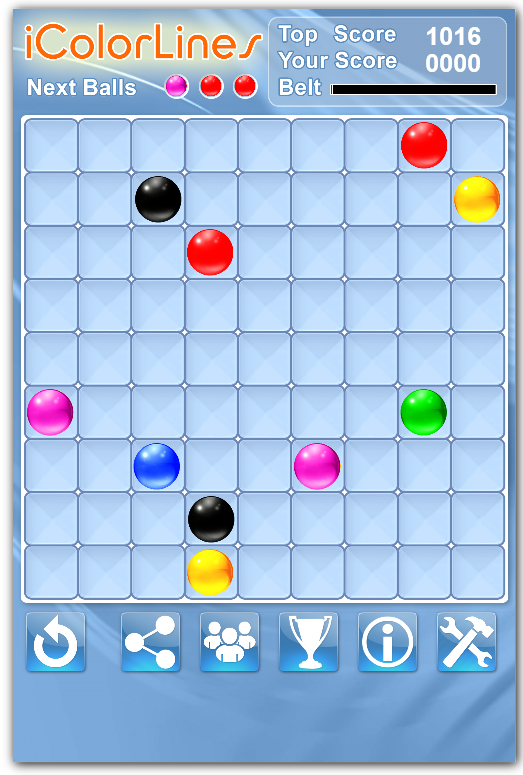 Two new red balls and one violet are coming next, and you already have two violet and two red on the board. You can try to move red ball to start the first line. 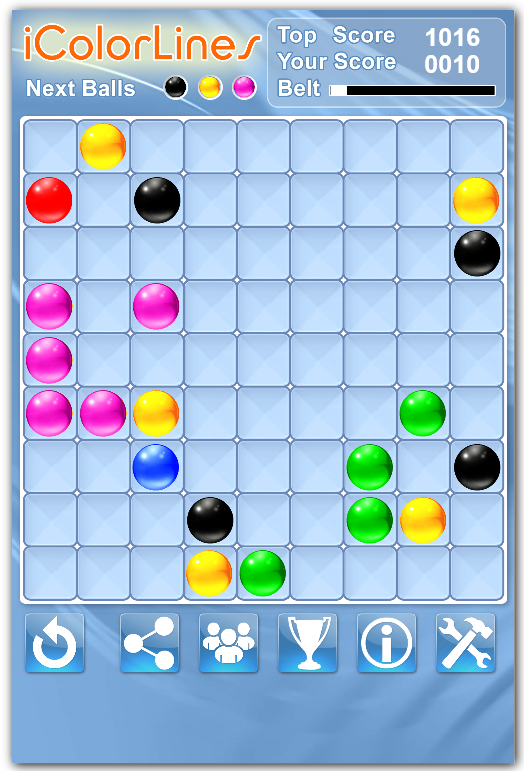 Two green balls and one black are coming, and you have two black and one green. 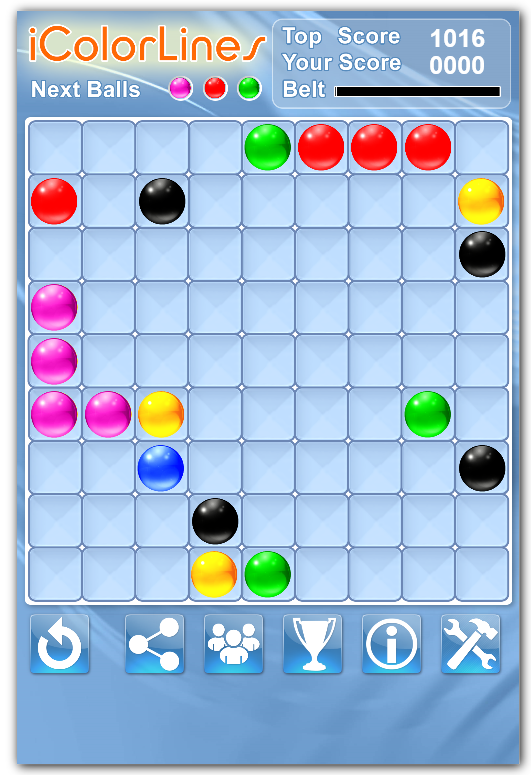 The suggestion is to move the red ball to have at least three red aligned and wait for having more green and black balls on the board. At the same time free the way for potential violet balls. Black, yellow and violet are coming, and there are two violet, and two greens and two blacks are aligned. 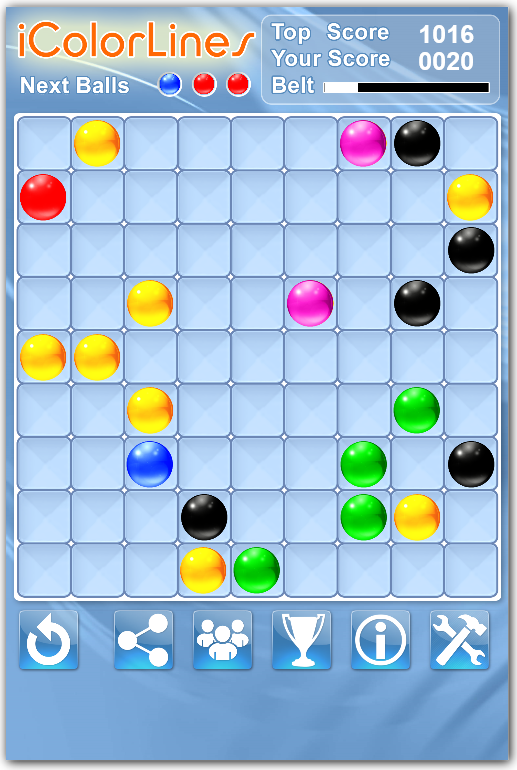 It is your next move which color ball to move. Black or violet might be more preferable to move. Let’s move violet ball. 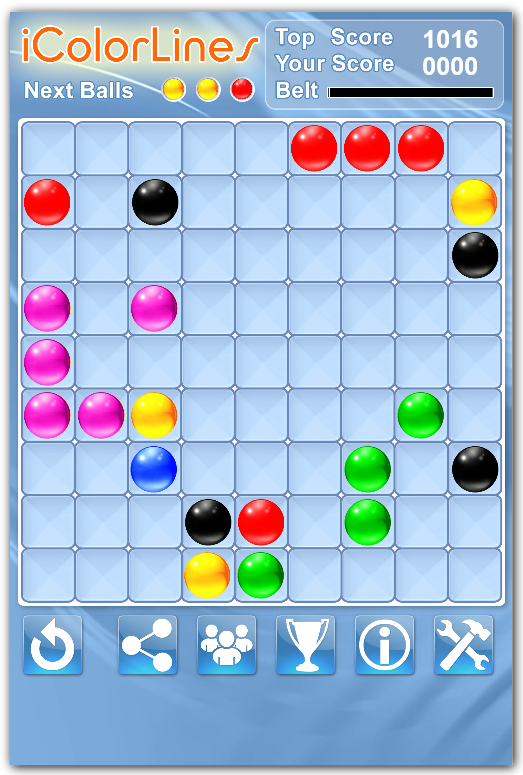 Violet, red and green balls are coming and you have an opportunity to clean five violet balls, or unblock red ones to make them eligible for cleaning. 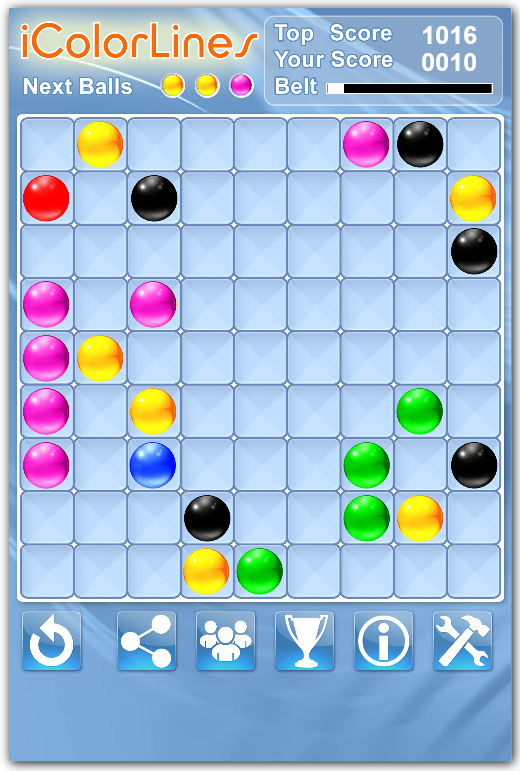 Note, if you a ball to unblock other color line, put it to the same color to create or increase the other line. Let’s move a green ball to unblock red line. Two yellow and one read are coming. It might be a good idea to move a red ball to its line, clean it if we are lucky, and may be let new yellow balls to align themselves. 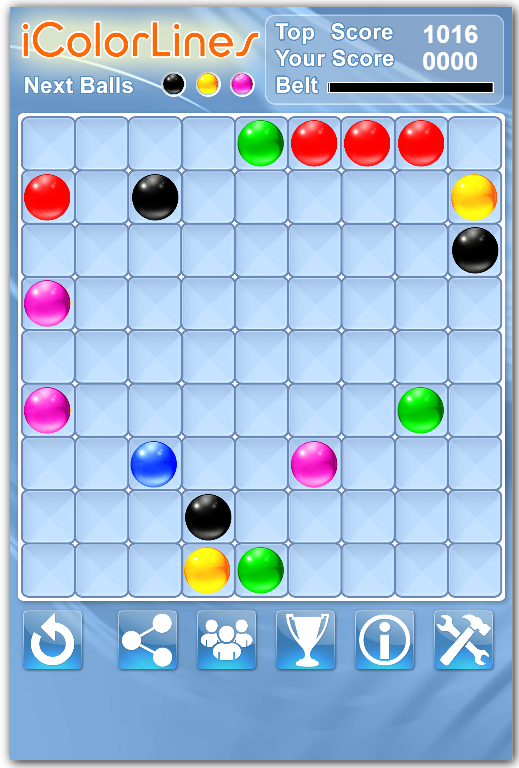 And yes, it worked, red ball came to complement another four. Unfortunately yellow balls are scattered. Black, violet and yellow are coming next. Let’s deal with violet balls now. Now we are in good position. One violet and two yellow balls are coming. Violet are ready to be clean and yellow already formed some lines, we just need to free some space for yellow balls, at the same time form a black line. We got 20 points and various opportunities with yellow balls. Now it is a time to start your game and work out your strategy!